We’ve all seen one. Whether in person or on TV, we’ve witnessed their undeniably unique craft in action. From the good old days of Señor Wences to the sold-out shows of Jeff Dunham, they’ve entranced children and entertained adults alike. 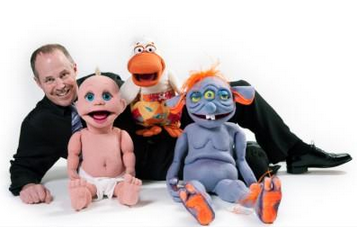 But how many of us have ever stopped to think about the actual career trajectory of a ventriloquist? 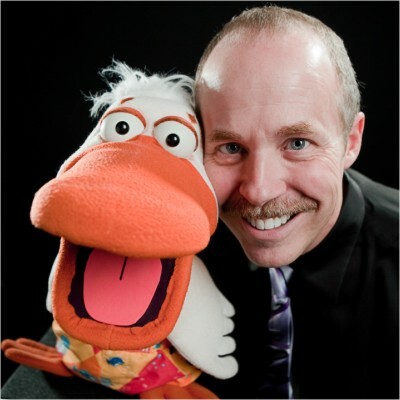 What might inspire an individual to pursue the puppet, if you will, and how might he or she go about becoming a respected professional in the field? 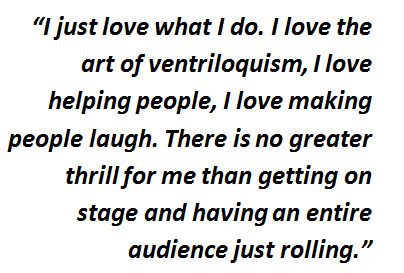 These were the questions at the center of my latest interview with renowned ventriloquist Tom Crowl. The two of us discussed what it means to pursue unconventional passions, and how important that desire to both teach and be taught is to those in this industry. Tom Crowl is no stranger to the performing arts. For over 30 years now, he’s been traveling the country, entertaining audiences of all ages. His partner, however, wasn’t always a puppet. “When I was about four years out of high school, I decided to pursue a career as a professional magician… By 1990, I had met the woman who would become my wife and the two of us began performing together,” Crowl shared. Yet despite their success as a spirited husband and wife duo (think, the Sonny and Cher of magic) Tom and Dierdre’s act was eventually called to a halt when she was presented with an idyllic – albeit more traditional – job offer too fitting to pass up. Rather than audition, train, and travel with someone new, Tom decided it was time to try something different. 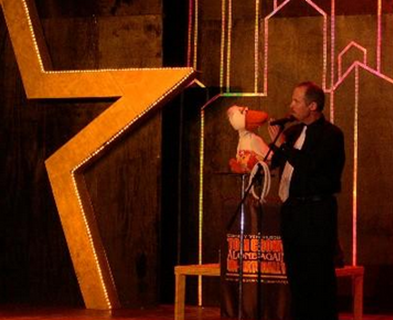 With years of on-stage experience under his belt and a puppet on his hand, Tom set out to redefine his role as a live entertainer. So how exactly does one make the leap in status from rookie to professional? Ask Tom and you’ll hear a resounding “practice!” He asserted, “There’s not a day that goes by that I don’t work on this art. If you become comfortable with where you are, your skills will start to deteriorate.” Accordingly, Tom has taken to filming all of his performances and, like an athlete, will scrutinize play-by-plays of his lip control, facial expressions, puppet movements, even the audience’s reaction time. By watching recorded footage of his act after the fact, he’s affording himself the priceless vantage point of a client as well as a springboard for learning from any past mistakes. Naturally, his skills have improved tremendously as a result. He averages 250-300 performances a year. Tom is one of the three partners of the legendary Maher Studios.